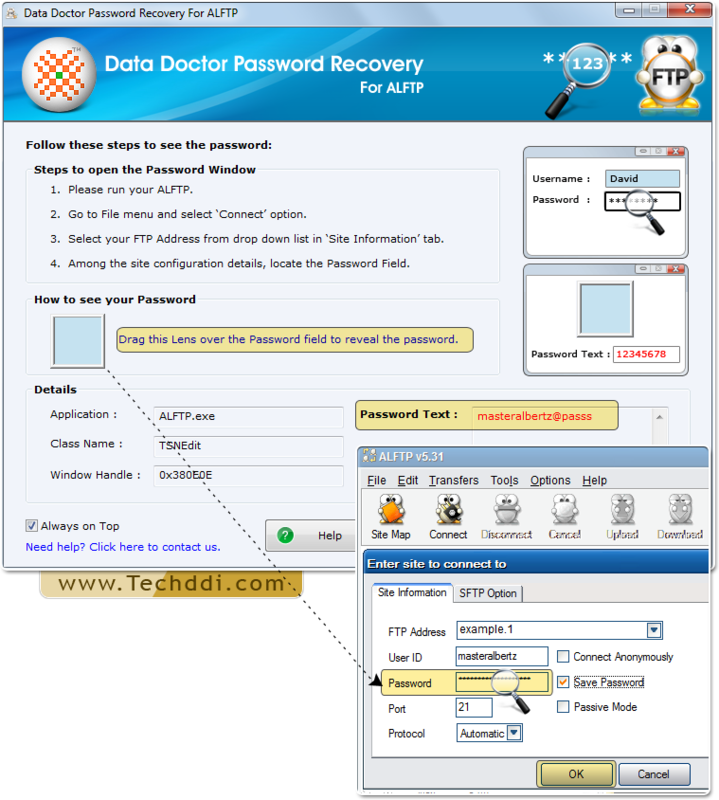 Password Recovery For ALFTP enables you to get back forgotten passwords stored behind asterisk (****) from ALFTP Software. 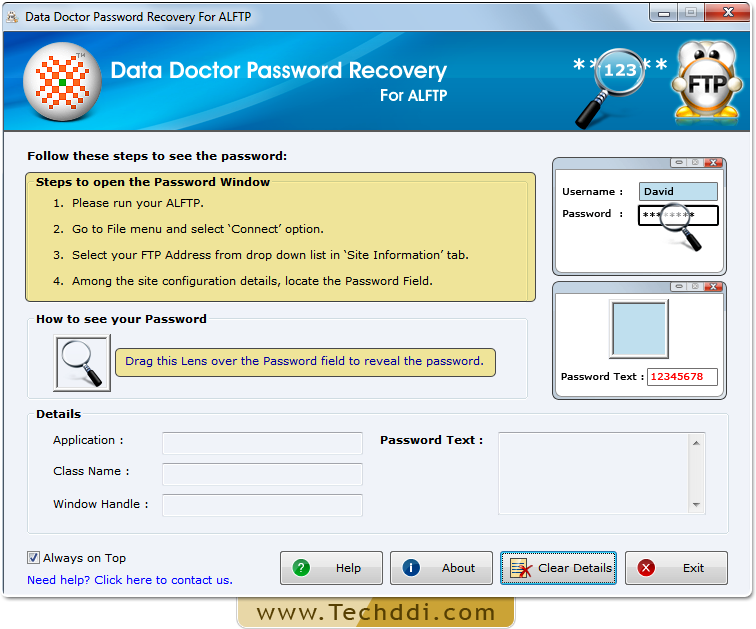 ALFTP password recovery software is beneficial for business users and IT professional to reveal lost passwords. 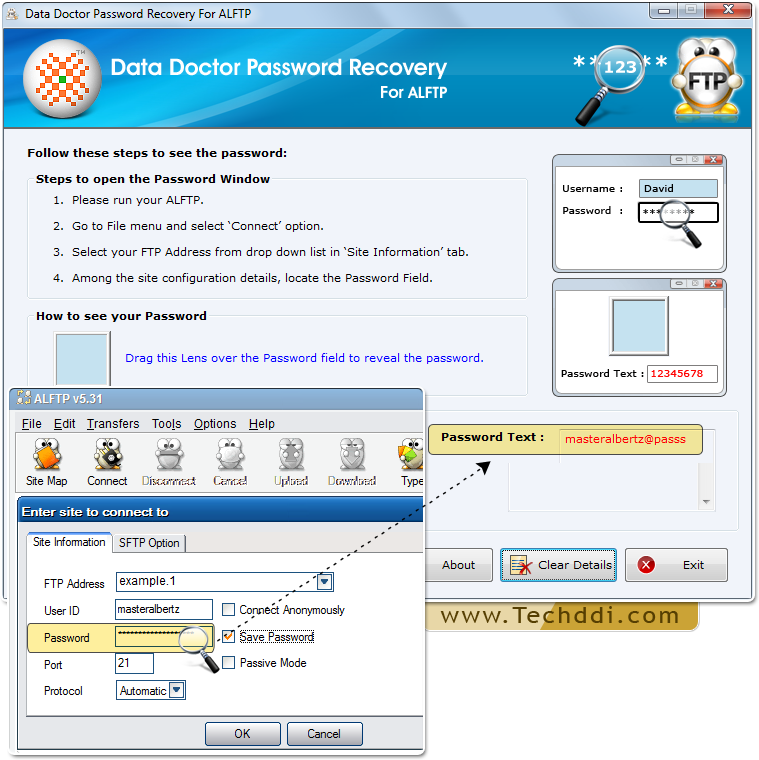 Password Recovery using Password Recovery Software For ALFTP. Among the site configuration details, locate the password field. Password under the lens will be displayed in the ‘Password Text’ filed as shown above.